"Then gunfire erupted from virtually every window in the compound." (Treasury Report, pg. 96) We see the agents, the broken windows, and the bullet holes in the building. But where are the Davidian guns? Why have the Davidian guns done no damage to the trucks in the foreground: There are no flat tires, no bullet holes in the truck bodies, and no broken windows. How can those three agents kneel in the open without being shot, and why would they be so foolish? (Photo published in Austin American-Statesman, (undated gallery, specific image). Click for full size image. The Treasury Report states that when the ATF agents left the cattle trailers they were met with a hail of gunfire and homemade grenades. "In the face of overwhelming firepower the agents displayed extraordinary disciple and courage," (pg. 11). Perhaps unknown to the raid planners, most of the guns owned by the Branch Davidians were off the premises that day, having been taken to a gun show in nearby Austin, Texas by Branch Davidian Paul Fatta. Concerning the ATF claim that they were met "by a hail of gunfire" as they approached the building: photographic evidence shows the agents firing blindly into a building with empty windows and drawn blinds. 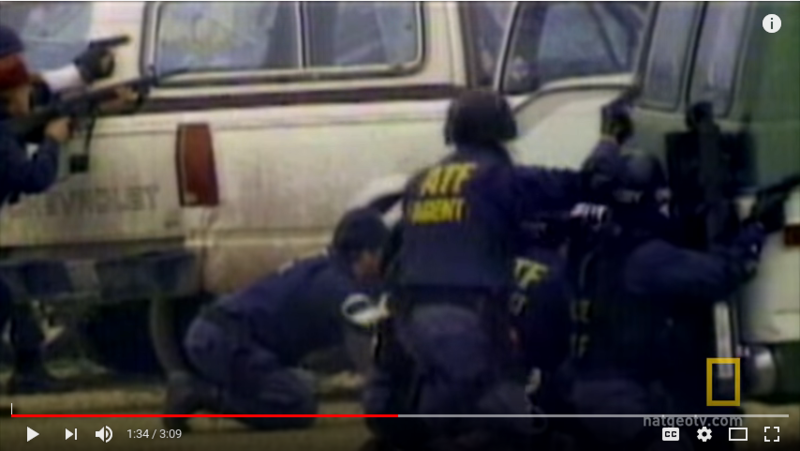 HERE is an excerpt from Linda Thompson's "Waco, The Big Lie," showing footage of ATF agents firing into the building that day. A picture published in Soldier of Fortune, July, 1993 (our copy was slightly damaged at the centerfold as it was removed from the magazine) shows about 11 agents in front of the building. Note that eight of the agents in this picture are using the automobiles for cover, while the rest are in the open. These images were clipped from the National Geographic YouTube video, posted June 25, 2014 (cached). To enlarge an image to full size, click on the image. The time stamp of each clip is shown in the bottom left of the image. Though the Davidians are alleged to have shot first, the windshields, tires, and metal bodies on all of the cars are without breakage, punctures, or bullet scars. The agents stand around the ladders without fear of shooters. No Davidian guns are visible in any of the windows. The ATF said the Davidians had illegal machine guns. The Treasury Report also said the agents were "ambushed" by waiting Davidians (pg. 11). When talking to the press after the raid failure, ATF PR agent Sharon Wheeler explained: "They had bigger guns than we did." But these agents don't seem concerned about Davidian guns, big or small, manual or automatic. Where are the guns? Where are the Davidians? Where is the ambush? Automobile bodies do not stop bullets. Most bullets will pass right through a window or the thin steel of a car body. If an agent took cover behind a truck or a car, he would be protected only by the bumpers, the heavier parts of the running gear, or the engine block. And a bullet hitting any part of the car would leave a hole or a scar visible to a camera lens. 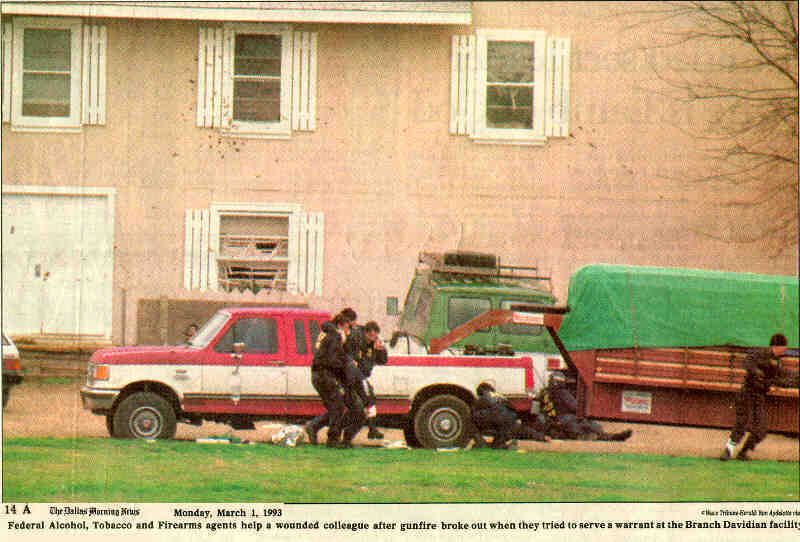 On Monday, March 1, 1993 The Dallas Morning News published a page of color pictures from the raid. One 7 x 11 photo shows the main entrance of Mt. Carmel. Judging by the number of visible bullet holes in the walls, the condition of the window to the right of the door, and the condition of the second floor window frames, this picture was taken later than the Soldier of Fortune picture. 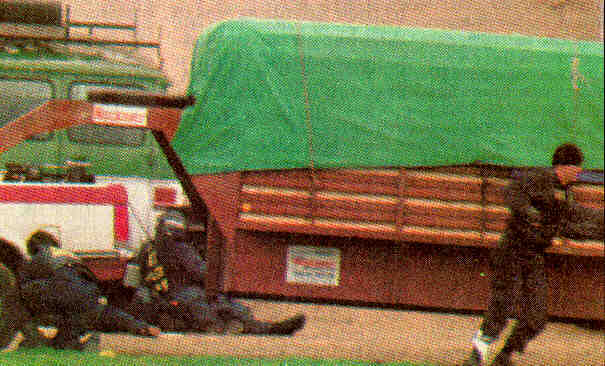 We see agents in the foreground are carrying off an injured comrade (The Dallas Morning News, March 1, 1993, Figure 21). Looking over the picture for details, we see a spray of bullet holes around the second floor windows (magnified view at Figure 21A). Those holes were quite obviously the caused by shots aimed at the general area of the widows from the outside — that is, by agents shooting at Davidians or at guessed locations of Davidians. The Dallas Morning News photograph has been magnified to verify the point: The windows and bodies of all the automobiles within the frame of the picture reveal not a single bullet scar (Figure 21B). In addition, not a single tear appears in the canvas of the cattle trailer (Figure 21C). Had the Davidians been returning fire, we should see evidence in the photo. The shots should have left scars, similar to the scars in the building, on the trailer canvas and the metal and window glass of the cars and trucks the agents were hiding behind. A careful examination of the vehicles in this picture reveals not a single bullet scar. The Treasury Report contains a picture of the second trailer to arrive in front of the Mt. Carmel Center. The side facing the camera is the same side that was visible to the Branch Davidians; that side should bear bullet marks if the agents had received fire as they claimed. In a final test of the veracity of the Treasury Report, a magnification of the double door reveals that it is not "bowed out" from gunfire (Figure 21D), as alleged in the Treasury Report. 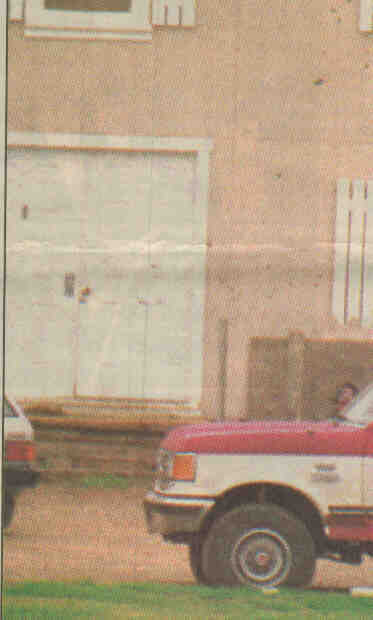 It stands as any normal door, with the exception of a few bullet holes (disregard crease mark in the newspaper). When the surviving Branch Davidians were charged with murdering the ATF agents, a section of the double door that allegedly bore many bullet holes would have been a key piece evidence for the prosecution, if events were as reported — or for the defense evidence otherwise. The trajectory of the bullet scars would have told the story of who shot whom. But the doors mysteriously went missing after the April 19 inferno, while the crime scene was under control of the ATF's allies, the Texas Rangers. TV footage of the scene clearly shows the agents firing into the building, and not one Davidian returning fire — or even visible. 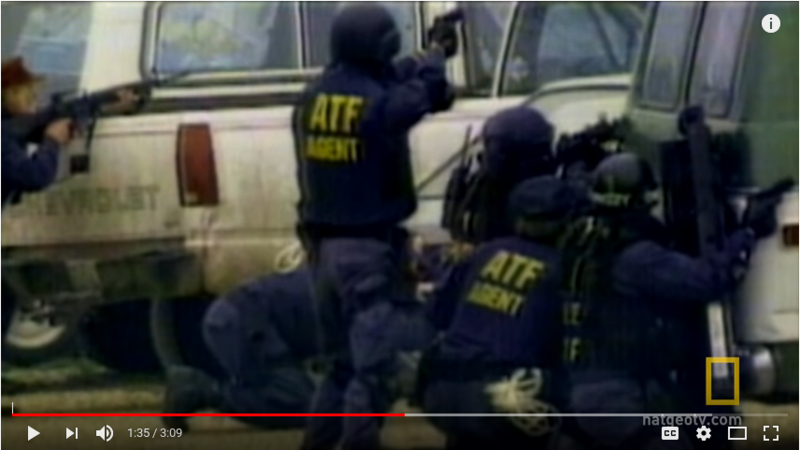 The ATF also took videos of the raid as it was occurring. Later, the ATF claimed that their video camera malfunctioned and that no pictures had been taken after all. Col. Charlie Beckwith, described as the "founder of America's elite Delta force and a noted authority on raids and assault planning," published an article in Soldier of Fortune magazine, July, 1993, entitled "What Went Wrong in Waco?" Beckwith wrote, "I cried when I heard that four ATF agents had been killed and 16 wounded." But apparently Beckwith shed no tears for the Branch Davidian men, women, and children who were wounded or killed. Beckwith, though reputed to be a brilliant tactician, also failed to notice that the photographic evidence does not support the ATF story of a "hail of gunfire" in ambush or retaliation by the Branch Davidians. In fact, the photographic evidence tells quite a different story. As noted above, the Treasury Report claims their agents were killed and wounded in an "ambush." The American Heritage Dictionary of the English Language defines ambush as (1) A lying in wait to attack by surprise and (2) a surprise attack made from a concealed position. The same dictionary defines attack: "To set upon with violent force; begin hostilities against …" But it was the ATF that intruded upon the Davidians, attacked them by surprise, and began the hostilities. Using the common meaning of the words as defined in an American dictionary, it was obvious that the Davidians ambushed no one. Recall that the whole excuse for the raid by the "Bureau of Alocohol, Tobacco, and Firearms" was not alcohol, and not tobacco. Allegedly, the Davidians were manufacturing and stockpiling weapons they shouldn't have in preparation for violent activities they shouldn't do. Not only were the Davidians (allegedly) heavily armed, they were (allegedly) prepared for a pitched battle. They were (allegedly) actively prepared for an armed attack and could not be surprised. If we accept the description of the Davidians in the Treasury Report, attacking the Davidians with gang of armed goons in canvas trailers and machine-gun helicopters would be catastrophically foolish; it is simply not a credible story. People in glass houses should not throw stones, and people in canvas trailers should not start gun battles against a "prepared and fortified foe" (pg. 141) who have "bigger guns." Unless, of course, the attack is designed to fail. But the bizarre pretense continues for hundreds of pages. Not only did they send soldiers in canvas trailers to attack Mt. Carmel (which the news media has characterized ever since as "heavily fortified"), but they pretended they were planning to slip past the "armed guards" and take the community by "surprise." Had the Branch Davidians been armed for warfare with a 50 caliber machine gun, grenades, and assault weapons, and spoiling for a fight with the government as the ATF said, the ATF agents were at a deadly disadvantage. Given the Davidians had cover and elevation, the ATF agents would have been slaughtered wholesale. Treasury Report, pg. B-48, "The Compound could continue to be barricaded and fortified." Los Angeles Times, June 18, 1994, 5 Branch Davidians Get 40-Year Terms : Courts: Judge delivers maximum prison sentences to cult members he declares unremorseful. 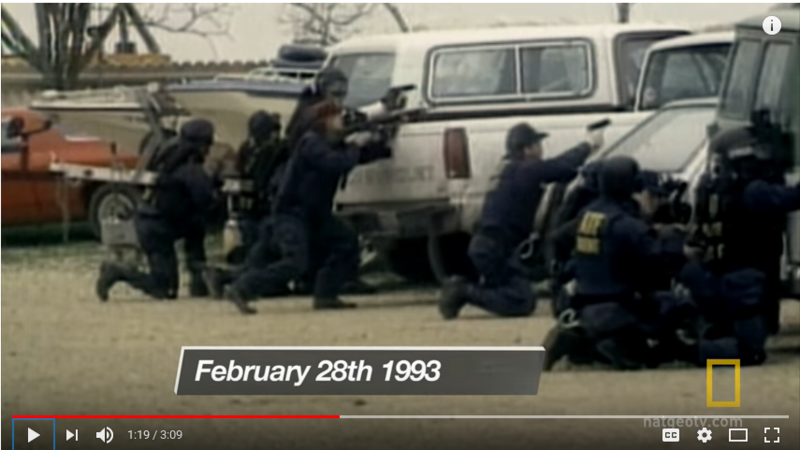 Lighter penalties go to three other defendants in shootout: "...75 agents tried to serve an arrest warrant on David Koresh, leader of the Branch Davidian cult, on charges of illegal weapons possession in his heavily fortified compound." 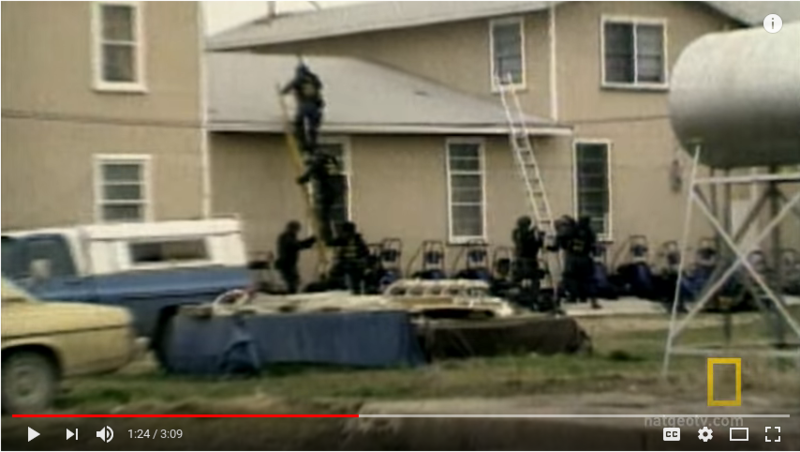 The Washington Post, August 28, 1993, Television Photographer Says He Tipped Waco Cult, "Four agents of the Bureau of Alcohol, Tobacco and Firearms died and 16 were wounded in a firefight when agents tried to serve search and arrest warrants on the heavily fortified compound." UPI Archives, Feb. 28, 1993, At least five dead, 15 injured in two shootouts at cult compound, "Two gunfights about nine hours apart Sunday on a religious cult's heavily fortified farm compound in central Texas left at least five people dead and 15 wounded as federal agents attempted to serve a warrant on a firearms charge, authorities said." The photographic evidence is quite the opposite. The windows were ordinary residential windows with ordinary blinds and curtains that shattered in an ordinary manner when struck by bullets. The walls did not stop bullets, nor protect those inside from the gunfire. The hundreds of carelessly aimed rounds fired by the agents into the front of the building were potentially quite deadly to the dozens of men, women, and children inside. TV footage of the scene show an animated version of the still pictures: agents carelessly peppering the building with pistols and rifles. The timing and manner of their shots does not suggest they were picking their targets, aiming, and firing, but rather emptying their magazines. In the light of other information, however, this manner of shooting is more sinister. As researcher Ken Fawcett points out, diagrams left in a diner by ATF agents at the time of the raid show the floor plan of the Center and names of Davidians listed for each room (see the Smart Diagrams). Given the relatively flimsy structure that was Mt. Carmel, bullets would penetrate the walls almost as easily as the windows. Peppering the outside walls of rooms of individuals selected for death just might work. Soldiers wearing "Police" and "ATF" lettering on their clothes storm the Davidian residence. Newsweek published an illustrated retrospective on May 3, 1993. Sometime during the morning of February 28, a team of four agents climbed a ladder onto a second story roof. The window on that roof lead into the room marked "Koresh's Quarters — Guns" on the Dumb Diagram of Mt. Carmel, Second Floor. Waco researcher Ken Fawcett captured footage apparently taken during the incident, footage which was heavily edited even before it was beamed down from the TV satellite. The footage shows three agents entering the room, and a fourth agent remaining behind on the roof. The fourth agent then throws at least one grenade into the room and fires in blindly with his gun. Whoever is in the room fires back at the fourth agent, who is also fired upon by persons from the ground and the air. Who could be shooting from inside the room? Any armed Davidians would have been cleared out by the first three agents who entered. The identity of the shooter must be questioned, and the news media that showed the clip apparently took care to avert that question. Only a few frames of this footage appeared on commercial news coverage and in newsmagazines. Those frames usually showed the agents at the window, or an agent shielding himself from shots coming through the walls of the room. Footage that showed the fourth agent throwing a grenade and firing blindly into the room was not shown. TV coverage of the February 28 raid often showed one agent on the roof being fired upon from the inside, and falling, as if fatally wounded. 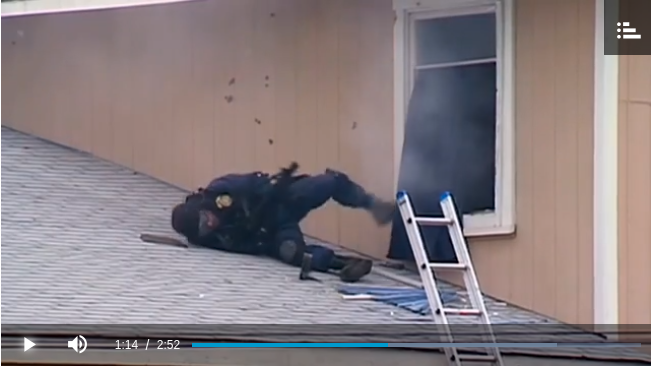 However, the next frames showing the agent getting up and climbing down the ladder were not shown, giving the TV audience the impression that agent had been killed by the Davidians. HERE is Linda Thompson's video "Waco, The Big Lie" showing the action. On March 5, 1993, The Dallas Morning News reported that all the agents who had entered that room, Robert Williams, Conway LeBleu, and Todd McKeehan had died. Later, this report was changed. 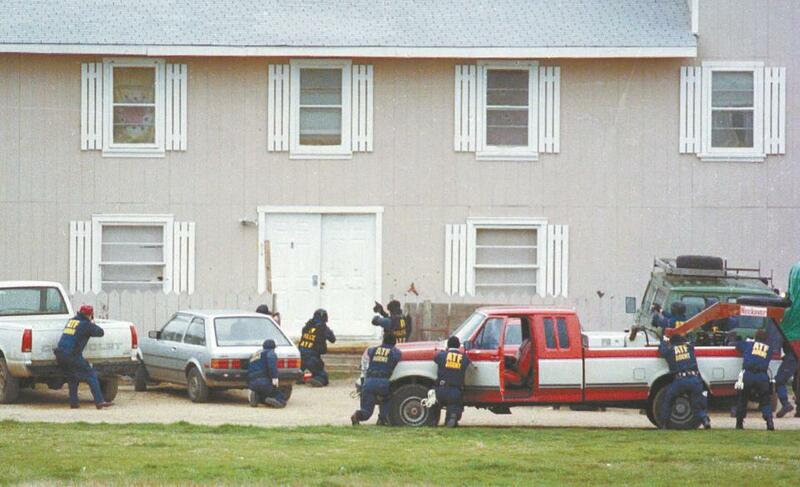 The ATF charged that a fourth agent, Steven D. Willis, had been killed by the Branch Davidians. All four agents appear to have been killed by professional assassins; three were killed by shots to the head and one by a shot through the aorta (main artery of the heart). Note: Branch Davidian Peter Gent (Mt. Carmel Doe 76) was also killed by a shot through the aorta. Todd McKeehan was killed by a single shot to the left upper chest that ruptured the aorta (see Autopsy Report diagram). Note the "tracheostomy" wound in the throat: a tracheostomy is a surgical procedure to relieve blocked airways; it is not done to treat a bullet wound of the heart. Why did the medical attendants cut his throat? Steven Willis's suffered at least two gunshot wounds to the head (see Autopsy Report diagram). This would have been remarkable shooting for Bible students. In fact, such precision killing is more typical of professional assassins with military training, who are currently in the military, or on "retired" status in the military, and work as snipers for a paramilitary government agency. All four who were killed by expert marksmen were treated by private physicians or emergency medical technicians on the scene; none were taken to nearby hospitals, despite the severity of the injuries (Treasury Report, pg. 102). The deaths of ATF agents was used as a justification for the siege. "The first thing I did after the ATF agents were killed, once we knew that the FBI was going to go in, was to ask that the military be consulted because of the quasi-military nature of the conflict, given the resources that Koresh had in his compound and their obvious willingness to use them," President Clinton said (The Washington Times, April 24, 1993). Certainly there would have been little public support for tanks, torture, and escalating the war had agents not been killed. In the Introduction to the War Gallery, we saw that heavy military equipment was at Mt. Carmel from Day One, February 28, 1993. The failure of the raid was a forgone conclusion: as pointed out in the previous exhibit, the raid was Designed to Fail. NOTE: Four Branch Davidians were ultimately tried for conspiracy to murder the ATF agents. In a trial in San Antonio in 1994, they were all acquitted of murder. As a result of a press blackout, their acquittal has been a carefully kept secret from the American people. See Burial Gallery.